Guangdong Guangya High School is seeking an English & Humanities Teacher to join our community! The Guangdong Guangya High School, in partnership with Tower Bridge International Education, is seeking an experienced English & Humanities teacher to join our growing international education team. Our teachers are globally understanding, proactively respond to and serve all students, understand and appreciate their role as mentors, embrace learning inside and outside of the classroom, are experts in their respective fields, and understand the importance of character and values in education. The Guangya international program is hosted on the main Guangya campus located in the Liwan District, where you can find a unique blend of Eastern and Western culture. 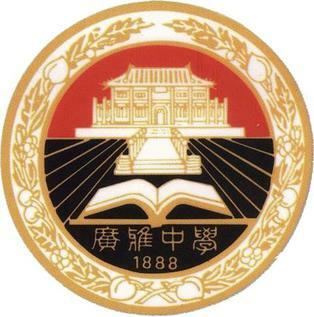 Founded in 1888, Guangya is known as one of the top high schools in China. The word Guangya comes from the phrase: “广者大也，雅者正也”, which translates to “Cultivate Knowledge, Integrity, and Well-Being”. Guangya currently operates 4 campuses in and around Guangdong province and offers diverse international programming. The Guangya International Program is focused on Grades 10-12 aged students. Teachers develop creative and engaging lesson plans delivered in a US style classroom. Lessons are academically rigorous and create a welcoming environment where students love to show up each day. The High School English & Humanities teacher will be able to deliver minimum English II and either US or World History. Teachers who can teach AP will be taken under special consideration. Candidates should be comfortable designing and executing curriculum as part of a small teaching team. Those who are dynamic, highly collaborative, culturally adept and committed to professional growth will succeed in this role. One of the world's most powerful nations, China's cultural contributions have influenced history and human development for thousands of years. Teach Away offers ESL teaching jobs in reputable language schools as well as licensed teaching jobs across China.